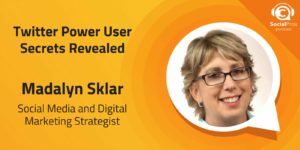 Madalyn Sklar, Social Media and Digital Marketing Strategist, joins the Social Pros Podcast to discuss the most powerful ways to optimize Twitter for your business. For many, the term “social media” often conjures images of selfies, food posts, and ridiculous clickbait headlines. It seems that, like a slang term, the “social” intent of social media has changed into something altogether different. Instead of endless self-promotion, whether as an individual or as a business, what if social media could become social again? Twitter expert Madalyn Sklar seems to understand just what that looks like and there’s good news: she wants to teach you! Twitter provides an incredible opportunity to engage with countless people who share your interests, needs, or as a business. People who may have needs that your product or service can meet. 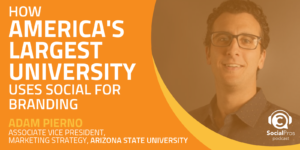 By starting or jumping into open dialogues directly with peers and customers, you can create a unique connection that strengthens the community around you. Not only that, but it will put you and your business in front of people who can directly relate to you and your product. Madalyn reiterates “listening and engaging.” Becoming a social pro is a long game, and there are no shortcuts! Gary Vaynerchuck, who Madalyn sees as her male counterpart. With so much in common, she feels like it would be a great conversation! Jay Baer: Welcome everybody to Social Pros, the podcast for real people doing real work in social media. I am as always Jay Baer, founder of Convince and Convert, joined as usual by my special Texas friend. 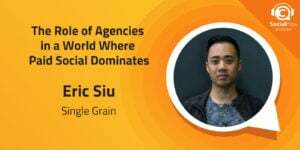 He is the executive strategist of Salesforce marketing cloud. He is the one, the only Mr. Adam Brown. Adam Brown: Hello, hello. Jay, happy post-Thanksgiving tidings to you. Jay Baer: Happy L Tryptophan to you as well. I'm still groggy. I had a crazy southern Indiana Thanksgiving. We shot guns, we blew up pumpkins, we ate turkey, we did all the things that you do out in the woods in rural Midwest. Adam Brown: All at the same time? Was there any parlor tricks involved? Jay Baer: There's waves. It's appointments really. 3.30 is handguns and 4.30 is pumpkins and 5.30 is turkey. Adam Brown: As long as you keep to your schedule, I think we are all good with it. Jay Baer: Exactly. You have a smartphone app for it. What did you do? Adam Brown: It was much the same. Mine is the Southern Indiana fire-arms but plenty of Tryptophan. I celebrated with my family. My girlfriend's 97 year old grandmother joined us here in Houston, Texas who told us during the Thanksgiving tidings that she would not be getting her driver's license this coming year renewed but she'll be focusing on using public transportation and would you believe it? Appropriate for our audience, she's going to Uber. Jay Baer: Wow, I want to see what her Uber rating is. At 97, did she drive to Thanksgiving at your house at 97? Adam Brown: No, but she flew on a plane by herself. I just can't believe it. I hope I have the voracity and the cleverness that she does at half her age. Jay Baer: You don't even like flying on a plane by yourself now. Adam Brown: That's true. I need a staff. Jay Baer: If she was going to call for an Uber, she would just use her smart phone to do that. She probably has the iPhone 10 as well being 97 years old. Adam Brown: She has a Samsung. Jay Baer: She's ready to go. She's down with that. You know what else you could do, and she could do as well, even at the age of 97, on her smartphone device, she could use the Twitter, which is why it's so fantastic. We have our guest with us this week. 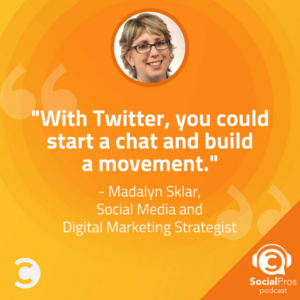 She's Madalyn Sklar who's a twitter marketing expert, a podcaster, a host of multiple twitter chats. She knows all of the things, twitter. Madalyn welcome to Social Pros. Madalyn Sklar: Hey, thanks so much for having me. I'm thrilled to be here. Jay Baer: We are psyched to have you here as well because we've had people in the past few weeks on the show talk about Instagram, talk about LinkedIn, talk about Snapchat. Now we've got you on the show to talk Twitter, which we're really excited about. What has changed in the Twitter universe? There is a lot of little things have changed of course but for you, what are the big changes in the Twitter universe in the last two or three years? Madalyn Sklar: Well, the biggest change right now is going from 140 characters to 280. This just craziness that Twitter has doubled the amount of space. I was very against it initially when it was first mentioned a few months ago that they were thinking about doing it but now that we all have it and I'm using it, I'm actually starting to like it. There's always this big proponent of Twitter is Twitter because of the 140 and it would not be Twitter without that. Twitter made an interesting comment when this was released recently. They said that the fun and newness will wear off and people will go back to the 140 or less and they were absolutely correct. I saw novel tweets for a day or two, long tweet. Now everybody is going back to the 140. That's been like the big, big change that we've had going on. Jay Baer: What's nice about that is, okay, let's say you are at 165 or 170. Maybe it's not so lengthy that you need the full 280 but at least you don't have to get another crime against punctuation or the crime against spelling that 140 ... My mum's an english teacher and she's like, "Man, Twitter is the worst. Such bad habits." I'm like, "I know but you got to fit into the thing." Madalyn, you're a person who has run, I don't even know how many Twitter chats now. You run two a week. You run Twitter Smarter chat Thursdays at one o'clock Houston, which is a great show and then the SocialROI chat every Tuesday night at five o'clock Houston. You have emceed, hosted, run hundreds and hundreds and hundreds of Twitter charts. I imagine 280 makes that a little easier as well because you can put question one and answer one and the hashtag and all that without cutting into your answers. Madalyn Sklar: Exactly, which is nice but on the flip side of that, if you have everybody doing these long tweets on a fast moving chat, it could be a little bit difficult because my Twitter Smarter moves at lightning speed. I can't even keep up with it. It's so incredibly fast. When we first had the 280, we saw a lot of people doing long tweets. I asked for everybody to please try to keep them a little bit shorter. I'm not telling people not to do the long tweets but try to keep it brief and to the point. It is nice to have that little bit of extra space for some punctuation and to spell things out and not try to do funky acronyms that nobody understands. I totally understand what you're talking about with that. It's been nice having that. Yeah, with Twitter chats, oh my gosh, I love running Twitter chats. It’s like my favorite thing to do. Adam Brown: You've got a great Twitter chat playbook on your website. I don't want you to give away all the ingredients there. We can have people to give you money for that but if you've got a couple tips for what makes a great Twitter chat? Madalyn Sklar: Absolutely. First and foremost, it's about the people. Twitter chats are about bringing people together. In my case, these are weekly chats and most chats are weekly. But it's bringing people together and having a great conversation. It's like-minded people talking about topics that resonate with them. It just works out to be a great use of Twitter. One of the things I always tell people to do, have a great profile because when you're on a Twitter chat and you're connecting with people, they're going to go look at your profile and make a very quick decision. Do they want to talk to you? Do they want to follow you? If your profile does not look good, is not up to par, has a terrible bio, they may decide that you are not worthy of them. It's really important to, what I call do a Twitter audit. Just take some time, go through the profile picture, the header image at the top and your bio. You get 160 characters for your bio. I recommend to use all of it and a brand new feature that Twitter just released that I don't think too many people have realized, is where you have your name. For most of us, if it's our personal profile, like for mine, Madalyn Sklar, well, now you can actually have up to 50 character spaces. They doubled it from 25 to 50 so you could get creative and pin a few little things in there. Rather than having my bio have things like speaker, podcaster, chat host, I moved those three items into my name. I have Madalyn Sklar and a little rocket shaped emoji because I think it's just cool and a very good indicator of how I am always moving forward and upward. Then after that, speaker, podcaster, chat host, now I have a little bit more space in my bio. Little things on Twitter can really help you stand out. Jay Baer: What are the little insider tips like that you have for the audience? Jay Baer: Yeah, it really breaks through. In some cases, it's actually faster to do it in a video than to type it out. Jay Baer: It is really is. I wrote about that in Hug Your Haters, my most recent book from a customer service perspective, that companies who are using Twitter for social care should wherever possible use video replies because it humanizes the organization. If you're a customer and you're really unhappy at whatever business, if you get a reply from that business, I guess you're probably happy they replied to you on Twitter. But if you get a video reply, then it doesn't become, "You're hearing back from the company." You're hearing back from Susan who was the rep at the company and that changes the dynamic of that relationship instant. Madalyn Sklar: Exactly. I'm just a real big advocate on using video in your tweets because exactly that humanizes a brand. It just really goes a long way when it comes to your customers. Jay Baer: Does that cause some issues though in terms of being able to find that content in Twitter search? Because you don't have any words there, it's just the video, would you recommend having a video and then adding a hashtag or adding some other keywords so they can be found? Maybe for just sort of a one to one message you don't really care that much. Madalyn Sklar: I still type a tweet. I still say whatever it is I want to say. I just add in the video as just like an icing on the cake. Jay Baer: Yeah, that makes sense. What is your best tip for finding the most appropriate hashtags for a particular tweet? Madalyn Sklar: Wow, good question. Probably the advanced search. Advanced search is underutilized on Twitter. I think people don't realize that it's there. Twitter hides a lot of things and I don't understand why. I would love to talk to someone there and have a little sit down and say, "Hey, things need to be a little bit more obvious." We all know there's a search box at the top but there's actually an advanced search. It's at twitter.com/search-advance. You actually have to go to a URL to get to it, which makes no sense to me. In there, you have the ability to really hone in on what you're looking for. There are some third party tools that can do this, Spell Social, ManageFlitter. There are some really good ones out there for this but the advanced search is a great way to do that. You can just do some searches in there, type and come up with some really interesting hashtags and see, is it being utilized, is it not. For my Twitter Smarter, which I use for, not only my twitter chat, I use it for my podcast, I call it pound Twitter Smarter. I have an online training course that I call my Twitter Smarter master class. What I initially did was I went to the advanced search and I did research to see what are some hashtags that are not being used, that absolutely no one is using so that I can state claim to it. You can't own a hashtag but if you're the only one using it, that can really go a long way in your marketing. Jay Baer: Yeah, that's an interesting idea to find hashtags that are not being used and start to incorporate them. It's almost like using a long tail keyword in a search marketing context. It's an interesting strategy. Jay Baer: One of the things that I think is really interesting about how you do your Twitter chats, both Twitter Smarter, which again is Thursday is at one o'clock Houston and SocialROI, which is Tuesdays at 5 o'clock Houston, is that the conclusion of your Twitter chats, you then flip over and do a Facebook livestream with your guest and invite the people who participated in the chat to interact there as well. I love that cross pollination and that duo platform approach. How long have you been doing that and what kind of results have you seen? Madalyn Sklar: Well, I started this as an experiment back in March at Social Media Marketing World. I had been wanting to ... Well, first of all, I was doing a bunch of Facebook live. I think Facebook Live is a great platform for the live video streaming. 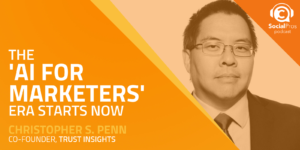 Jay Baer: More so than Periscope even though you're a Twitter person. Madalyn Sklar: Yeah, I know. I try not to really blast that out too much there like, "Hey, I'm not really using Periscope that much." I like Periscope but I get a much different experience, a much more positive experience when I'm using Facebook Live because on my personal profile, I'm at the 5000 max for friends. I have the ability to reach a lot of people because when I do it on my Facebook page, it is so much harder to reach people unless I put some dollars behind it. I found for me personally, and I know this varies from person to person without their utilizing their Facebook Live streaming but for me, it works great. What I did as an experiment back in March is I thought after the chat, why don't I invite the guest to come on and we do a livestream and see what kind of response we get. From the very first one I did, the response was amazing, people loved it. As you said, cross-pollinate. They loved how we went from one platform, which is the Twitter chat, which feels very much like texting. You don't see anyone, you just are chatting in a text type of format. To go from that to a live video, now they can see us and communicate with us in real time and people absolutely love that. I've been doing that ever since, all year. It was so popular that I decided to add it to the SocialROI chat. Interesting, it got started with SocialROI a few months later because Sue B. Zimmerman who I know was recently on your podcast, I heard that episode, which was great by the way. Madalyn Sklar: She had seen my videos on Facebook. I think she just assumed we were doing that for SocialROI. We weren't. At the time it was just Twitter Smarter. I had her booked for SocialROI and she said, "Hey, we're doing the live streaming, right? Right after the chat?" And I go, "Oh, actually, we haven't started that on SocialROI yet, but let's go ahead and do it because people really like it." I absolutely love doing it. Jay Baer: I think you had told me that you're now going to try and take the audio of the Facebook Live that happens after the Twitter chat and turn that into a separate podcast. Madalyn Sklar: Yeah, I think that would be ... It just feels like it's the next step in all of this because I have all this content, I'm putting it up on YouTube but I feel like the audio, there's so much great information that I feel like it could translate well to a podcast. I love to experiment Jay. That's been my successes as an entrepreneur for the last 21 years. I am not afraid to try things. I have failed in business early on so I learned that it is okay to fail. That you can get right back up and move along to the next thing. I will experiment and try things to see what works and what doesn't. I figured why not take the audio and put it up there and see what people think. Jay Baer: Yeah, it's a great example of atomization of content as well. It starts as a Twitter chat then it becomes a Facebook Live, then it becomes a YouTube video, then it becomes a podcast. The amount of content you're creating from one piece of seed corn is extraordinary and people talk about how can you keep up. Well, that's one of the ways you do it, is you're re-purposing into different platforms, which requires a lot less effort than making a brand new from scratch. Madalyn Sklar: Exactly. I love to try things and see what happens. I know that people watch what I'm doing and I love that. I want them to learn from me. I even started a hashtag, Learn with Madalyn. Since I have an unusual name, it's spelt very differently, I was like, "Well, you know-"
Jay Baer: It is. M-A-D-A-L-Y-N.
Look, when Instagram was new, people did not jump on that very quickly and if you snooze, you lose. I know so many people that did not get the name they wanted. I always say, "Go and get it right away because it might be the next big thing." It doesn't mean you have to use it but just go and get your name attached to it. Jay Baer: Yeah, it didn't cost nothing. Absolutely. Jay Baer: I'm going to go back to the Twitter video thing for a second. Have you ever had a guest on the Twitter Smarter podcast or the SocialROI Twitter chat and in the Twitter chat, doing all videos instead of doing the regular tweets? Jay Baer: Take your time to watch the video. Madalyn Sklar: -you can't keep up with it. Plus if the guest is doing it, they're going to fall behind with the questions really quick because we move it very, very fast. But I do like video. If a chat moved at a slower pace or maybe it went longer than an hour, so you had more time in between or maybe just less questions so you have more time in between, then that would be cool. Who knows, I might experiment. Maybe instead of eight questions, I do four, so we have much more time. Jay Baer: You mentioned how important audience and people are to the success of Twitter chats and you've got a great loyal audience for both of the shows that you run. Last question for me before I turn over to Adam in this segment of the show, do you think it's viable to start a new Twitter chat today from scratch and actually succeed with it? Is it still possible or do you feel like the ship has sailed? Madalyn Sklar: I think it's still possible. There are just so much opportunity out there. It's interesting that so many people that started on Twitter years ago, are coming back to it. They're seeing that there's so much value in it and they're finding Twitter chats or discovering them and finding so much value in it. I feel like even though Twitter chats have been around for a long time, I actually started the very first one for the music business, six or seven years ago. While it was really popular back then, they're just as popular today. I think you could start one now and be highly successful. Jay Baer: Madalyn, obviously you do two Twitter chats a week, you've got a great audience for those and great guests that come on. For those people that might be thinking, "This Twitter chat thing sounds interesting." You're saying there's still an opportunity to grow and for new Twitter chats to be out there. I would think that one of the challenges is the discoverability of them. How do you actually come across one of these? What would you recommend to someone who’s listening to this show, who hasn’t participated in a Twitter chat, on a particular topic, how would you recommend that they go and find topics of relevance that are taking part on this platform that we’ve known for years and years and almost decades, but don’t know quite how to take advantage of this actual function of chat? Madalyn Sklar: Right, it is such a great question. You could go on Google and just do a Google search and I recommend whatever the topic is that you’re interested in and then put Twitter chat on the end. If you’re into fishing, put fishing Twitter chats and see what pops up and you know how Google is. That can lead you down a rabbit hole where you can just find so much stuff. Another way is word of mouth. When you are on Twitter and you’re just surfing around and talking to people, you will very quickly see that there are chats going on. Just earlier today, right before this, I was surfing around on Twitter. I saw a tweet and it was obvious they were in the middle of a Twitter chat. I was being tagged in some of them today and it's like, “Oh, I just discovered a new one.” I hopped in and participated. They were talking about Twitter marketing. It was so perfect for me to be a part of that. Sometimes you’ll just discover them on the fly like that. Many times, Twitter chat hosts will have it in their bio. Pay attention to bios because you’ll sometimes see interesting hashtags that are tied into a cool Twitter chat. I took it upon myself to start a directory listing of what I feel are really good social media and marketing Twitter chats. There is not really one directory that has everything. There are some out there that are specific for things like what I did with social media. I just felt like I was going on so many Twitter chats and I just started compiling a list. I still add chats to it every time I discover really good ones that are new. That’s usually the best way to go about it. Start with Google and keep your eyes peeled on Twitter, word of mouth, you’ll find them. Then also just participating on Twitter chats will lead you to other chats as well. Jay Baer: I think the three of us can agree that this is one of the things I still love about Twitter, is people finding new ways to use this platform. This platform that was certainly not the first social platform but what many of us call the holy trinity of Facebook, LinkedIn and twitter as being the three. Madalyn I want to ask you a question. I want to play pretend for a second here. Let’s pretend that you are the president of Twitterville and you have to give a Twitter State of the Union address. What would you say about the State of the Twitter nation? Madalyn Sklar: Wow, I like this one. I think Twitter is a great platform. I think it is doing well. It has some issues and I think they’re getting resolved. I think that Twitter is going to spend more time teaching people all the ins and outs and all the great things you can do with it or with me in charge, I will definitely make sure. It has been my mission Jay for many, many years now to be that advocate for Twitter, to teach people how to use it, how to make it work for them in their marketing. I just see great things with it. I love how they’re not afraid to experiment just like with going from the 140 to the 280 character limit and letting us have our name go from 25 characters to 50 characters. We have Twitter moments, which I think is so underutilized, where we can curate tweets and put it out there in such a great way that it grabs attention. I feel that Twitter is healthy, is going to keep doing great things and keep attracting more and more people to it. Jay Baer: To that point, if you were to be again, the president of Twitterville, would you recommend to your RND teams, to your marketing teams, to the communications teams there at Twitter Headquarters, that they kind of go wider with these new product offerings? You mentioned Twitter moments, we talked a little bit about Twitter video cards and Twitter video or would you say, "You know what, we actually need to really focus on the core piece of what makes Twitter, Twitter and what we really need to focus on is educating people on how to use this." I’ve always thought that Twitter is like a box of Legos or even like a mind craft to use a video portelance that you could do so many different things with it. Sometimes we need, even creative professionals and people in the industry, we need a little assistance on building that first model car or model house out of Legos and then we can go off to the races. Deeper wide, what would you recommend as president of Twitterville? Madalyn Sklar: I think it is time to go deep. I think it’s time to educate everyone because there are so many amazing features now, that it’s time to make sure everybody understands how everything works, so they can take advantage of this great platform. They’ll use this model. These days when people talk about what are their top social media sites, Twitter is usually number three or number four. With education, I guarantee you it will become number one. There are so many amazing things you can do with Twitter. I was just teaching a course on how to utilize a feature on Twitter that people don’t even know about called Media Studio. You can actually put metadata on your videos, in your tweets. It’s pretty amazing and it’s very simple to do. It’s time for education to take place, where people become aware of everything you can do and really maximize it. Adam Brown: One area where Twitter, I think generally really does well and I would say ounce is in the role of social customer care. This is a space at least in my opinion and I think a lot of us on the Salesforce marketing cloud end of things, where we firmly believe Twitter has really a beachhead. Do you believe that this is true and do you believe that this beachhead is big enough for Twitter to continue to capitalize upon it? We see what Facebook is doing with messenger. We know the evolution of box and automated responses and things like that are going to be huge here in the next year is AI and with IBM, with their Watson, us with Salesforce Einstein are going to be moving aggressively in this space. How do you feel about social customer care and whether or not Twitter is really the place for this? Again back to, if you had to give advice and counsel, how would you say that Twitter should position themselves compared to what Facebook is trying to do with customer care, with Messenger? 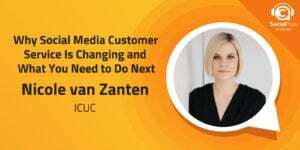 Madalyn Sklar: Well, I think Twitter has done a really good job up to this point of positioning themselves to be a great place for customer care. They have the ability for brands to utilize bots. They are coming up with really interesting ways to connect with customers to move them from the public tweets over to the direct messenger or direct messages and have the conversation over there. I think they’re going to continue to grow the ability for customer care to be a big priority in the way that we’re seeing this over at Facebook. I would love to see this continue on. It seems like they have been going in baby steps with it and I’m hoping that it’s going to be ... It seems like it’s really for the big brands right now and it’s going to slowly start rolling out to everyone else at some point, hopefully in the next year. I have high hopes for this. I think they’re really following in what Facebook is doing. They’re a little behind but I think they’re going to get there and catch up. Jay Baer: It seems to me that one of the advantages that Twitter naturally has is that, you can use Twitter for customer care out of the box. Whereas in theory, in Facebook they want you to use Messenger, which is a whole different thing for a customer care and you have to have a separate app and it’s a separate environment. Now that’s not a massive hill to climb but it is a little different. I think Twitter has a natural advantage if they continue to press that advantage. It’s funny that you talked about, the move into AI and data, Adam because I wanted to make sure that everybody knows that I am actually doing a webinar with Salesforce marketing cloud. Not with Adam but with Tiffany Thuli who's on the product marketing team. It’s going to be on December 12th at two o’clock Eastern. It’s called How to Drive Intelligent, Personalized Consumer Engagement using data and AI, very irrelevant. How to drive Intelligent, Personalized Consumer Engagement using data and AI. Lots of examples, lots of case studies, lots of tips and tricks from our friends at Salesforce. It’s me, it's Salesforce, December 12th, 12/12 at two o’clock Eastern. Go to candc.ly/2xkqox7. 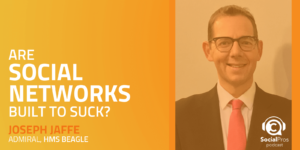 We got a weird bitly link on that one so maybe you should just go to socialpros.com and click the link there to sign up for the webinar at 12/12, two o’clock Eastern, me and Salesforce marketing cloud. Adam, back to you. Adam Brown: Thank you Jay. I agree. I think it’s going to be a fantastic program. I’m really looking forward Jay to hearing your insights as well as the other team. Back to Madalyn, it’s so great to have you on the show. One of the things that you like to talk about I know is communities and both communities online and offline. I think it’s an interesting space. I’m curious first off, when you talk about offline communities, are you ... Tell me a little bit about what your interests and passions in that space are. Madalyn Sklar: I just love building communities. This goes all the way back to 1996 when I first got on the internet and started a music community. I just wanted to start something to promote, support and empower women in music. It went from this online to an offline community. It’s just been this amazing journey I’ve been on with that. I feel like I am very well versed with taking communities on the internet and building them and growing them, utilizing the different social network platforms that we have. Who knew that with Twitter you could start a chat and build a movement out of it? I really firmly believe in that mantra, that you can really do anything you set out to do. At the end of the day, I just want to bring people together and help them. If I can help them learn new things about Twitter, which has been my passion for years now, then that makes me incredibly happy. Adam Brown: Is there anything Madalyn that you’ve learned from your work and offline communities that you can bring into your online communities? Are there any kind of mistakes that you see people who are using social media and using Twitter, maybe if somewhat effectively but gosh, if they go and do one or two things, wow, they could be unstoppable. Madalyn Sklar: Well, it’s listening and engaging. Those are really the most important things. When we are offline, we do listen and we do engage when we’re in communities. But when we get on the internet, it is so easy to dismiss that and people will get on Twitter and turn this into a one way ... They’ll do this with all social medias. They turn it into a one way street and they just push out all these information mostly, buy my book, go sign up at my webinar or take my course. It's just this constant barrage of me, me, me. Instead, they should be listening and making it about the other person, making it about everybody else and how can you be a part of something big online instead of just making it all about yourself. That’s my two sense on that. Jay Baer: I love it. Well said. Madalyn I’m going to ask you the two questions we’ve asked every single guest in the Social Pros Podcast, episode 290 something. In fact, our 300th episode and it will be coming up here pretty soon. We’re working on something special for that listeners, so pay attention. I think that’s going to be first week in January, will be the 300th episode. We’re going to skip a couple here over the Christmas break. Be watching and listening for that. Meanwhile, Madalyn, what one tip would you give somebody who’s looking to become a Social Pro? Madalyn Sklar: As I said before, listening and engaging goes such a long way. As I was building up my influence, that’s what I was spending my time doing on social media, I would just watch for opportunities to get in front of people so that I could get seen and heard. I think if people just take that time to do that and really focus on engaging, engagement is the most important thing. Jay Baer: Boy, you got it. There is no shortcut. There is no shortcut to paying attention to other people and it takes time. It really does and that’s stands in the way for a lot of folks. Madalyn Sklar: It’s a long game. Madalyn Sklar: It's a long game and everybody wants it right now. They always want everything right now and it’s the long game. When you have that long game mindset, you’ll get the rewards at the end of the tunnel. Jay Baer: Last question for you Madalyn Sklar, Twitter marketing expert, host of the Twitter Smarter Podcast, Twitter Smarter Twitter chat, Twitter Smarter Facebook live stream and also the same for SocialROI. Madalyn, if you could do a Skype call or maybe a Facebook Live with any living person, who would it be and why? Madalyn Sklar: I think I would have to say Gary Vaynerchuk. I feel like I’m a female version of him. He really is that practitioner. He goes and he’ll be up late at night learning how use a new app rather than out with his friend and doing things that everybody else does. I’m like that too. I will be up all night learning how to do something new because I want to be ahead of the curve. I want to be that early adopter. I feel like I have so much in common with him. I think Gary Vaynerchuk would have to be my choice. Madalyn Sklar: I would love that. Jay Baer: -make that dream a reality. Usually people say Oprah or Elon Musk or Obama and I’m like, "Man, I can’t help you get a Skype call with President Obama but Gary I can actually make that happen." We can send a tweet and connect those dots for you right now Madalyn. Jay Baer: All right, we’re going to make that happen. That’s going to be my action item over the holidays. Jay Baer: Yes, we’re going to dial that in. Madalyn Sklar: Awesome, thank you. I feel so special. Jay Baer: In fact, we’ll try and have Gary back for the 300th episode show. We’ll have you on too and we’ll do it that way and maybe we’ll see. Jay Baer: Madalyn, thank you so much for your time and your expertise. Congratulations on all the success with the array of Twitter oriented program that you’ve got going and all the work that you do for the social media community out there. I know you do help a ton of people and it doesn’t go unnoticed. Thank you so much for your support and your great work. Madalyn Sklar: Thank you Jay. I really appreciate it and Adam too. You guys are so great. I really appreciate you taking time to bring me on and let me share my thoughts on my favorite platform. Jay Baer: Yeah, and that’s it guys. Listen to what Madalyn said. There is so much stuff that you can do on Twitter that you don’t even know about, that you don’t even pay attention to. Look, that’s not your fault, that’s Twitter’s fault. As Madalyn had already said, Twitter is not good at merchandising their own features. In fact, they’re manifestly terrible at it, but that doesn’t mean those features shouldn’t be utilized. One of the things you should do here over the next three four weeks, maybe you’re going to be a little slower into the year, take an afternoon, take a Saturday and just go screw around with Twitter in a way you haven’t for a while. Discover some of these new features that maybe you haven’t used yet and learn how to make Twitter a greater part of your overall social media ecosystem in 2018. Madalyn, well, thank you and we will as well. Ladies and gentlemen that has been your favorite podcast, Social Pros. Thanks as always for listening. Thanks again to Madelyn, to my friend Adam Brown. On behalf of Salesforce marketing cloud, all of us at Convince and Convert, I am Jay Baer and we will talk to you next week.